Duracon Industries in Rosenort, Manitoba provides redimix concrete to the local market as well as precast to Manitoba, Saskatchewan and western Ontario. We custom manufacture any precast as well as making septic tanks, hog slats, signs etc from our plant in Rosenort, MB. Concrete has been a solid choice for thousands of years. From Ancient Roman architecture to modern day feats of engineering, this versatile and formable product has stood the test of time and environment. In today's age, much has been learned about this simple blend of rock and water, and with additives and consistent production practices, is a far superior product than what it was back in history. Precast Septic tanks and water tanks are superior in strength and durabililty, especially for deep burial applications or where high water tables exist. Their solid construction makes installation simple and cost effective, eliminating the need for other backfill products to "cushion" the septic tank. Making concrete your choice will ensure your project is backed by a rock solid product. 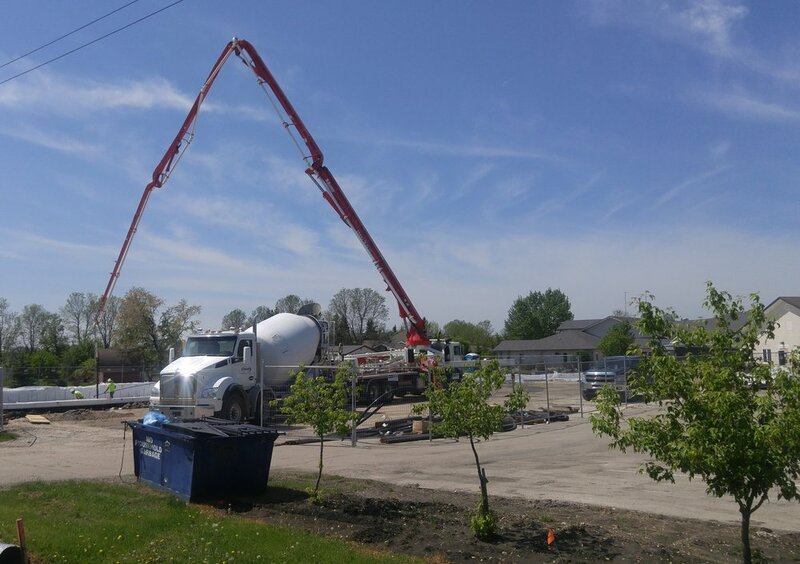 Dura-Con Industries Ltd. is a small company located in Rosenort, MB that is committed to supplying quality ready mix concrete and precast concrete products to a growing customer base. Septic tanks, sewage holding tanks, and water tanks are manufactured at our facility and delivered to a province wide market. Ready-mix concrete is delivered to local job sites and building projects in surrounding communities. Custom precast concrete products can be manufactured to specifications as requested. Contact us below to find out more information on how our products and services will be a concrete choice for your business. Duracon Industries Ltd provides quality precast and septic tank products to the Manitoba market. We deliver Redimix concrete to Morris, La Salle, Ste Agathe and surrounding areas. We are located in Rosenort, MB.